NOTE: Not all rooms have a document camera. Other rooms may have different models, however they function very similarly. 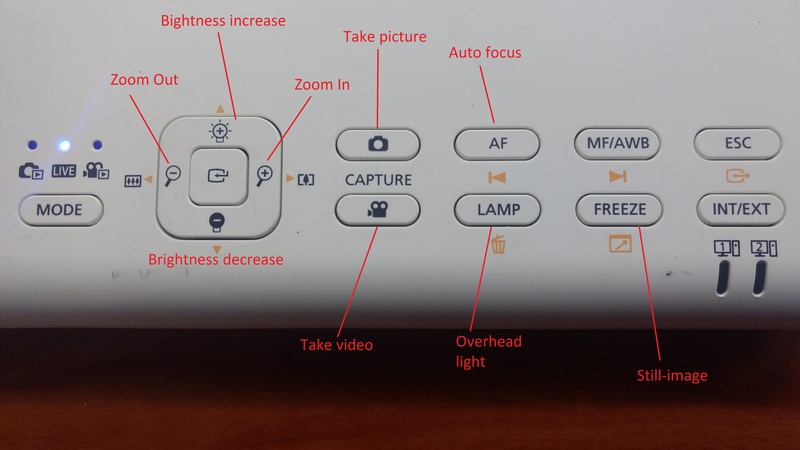 Turn on the docunment camera itself by pressing the power button on the right-hand side. 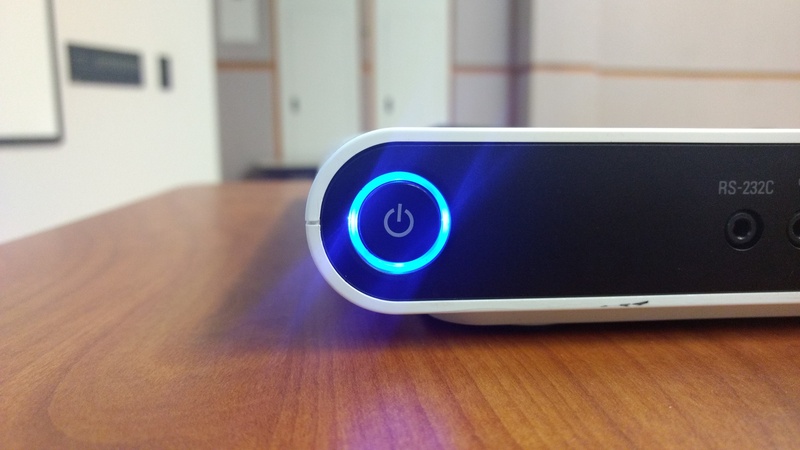 Once powered, it should illuminate blue as in the figure below. 3. You should now be able to see the document camera showing content on the screen. FREEZE: displays a still image on the camera when pressed. Press again to show live content again. Brightness increase\decrease: change the contrast of the device. The screen at the top of the device shows what will be displayed on the screen. With the film camera icon, you can take videos of the document camera table. You can review the pictures and video by pressing the mode button to toggle between live, picture review, and video review. 5. Once you are done, turn off the device by pressing the power button for 3 seconds and turn off the teaching station using the control panel.